Easy transport and maximum protection for your cymbal set. 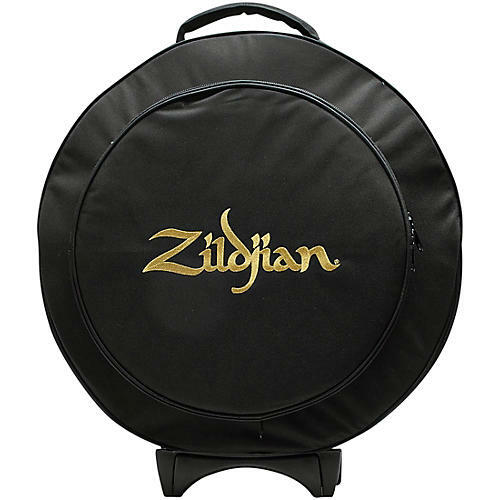 Zildjian's rugged and streamline 22" rolling cymbal bag features a new 16" expandable hi-hat pocket for increased cymbal capacity, perfect for storing multiple hi-hats, effects and stacks. With a padded middle accessory pocket/divider and clutch holder, you can make sure you have everything you need on the road. The five graduated cymbal dividers keep your cymbals safe while not getting in the way during setup and teardown. A new handle system, reinforced front and back panels plus a cymbal protection system that is composed of rubber is built into the inside and outer bottom makes this the ultimate roller bag, it's road ready.